Will Senate confirm William Barr as Attorney General? Senate Democratic leader Charles Schumer said on Wednesday he will oppose President Donald Trump's attorney general nominee, William Barr, saying he is not convinced that Barr will protect Special Counsel Robert Mueller's Russia probe or provide Congress with a full report on Mueller's findings. Schumer's comments come one day after Barr appeared for his confirmation hearing before the Senate Judiciary Committee, where Barr vowed he would let Mueller complete his investigation into whether Trump's campaign colluded with Russia and provide the public with as many details as possible on Mueller's conclusions. Trump has denied colluding and has called the investigation a witch hunt. Schumer's opposition to Barr's nomination is not likely to prevent the Senate from confirming him as attorney general. Barr enjoys broad support from Republicans, who hold 52 Senate seats. Only a simple majority in the 100-seat chamber is needed to approve a nomination. 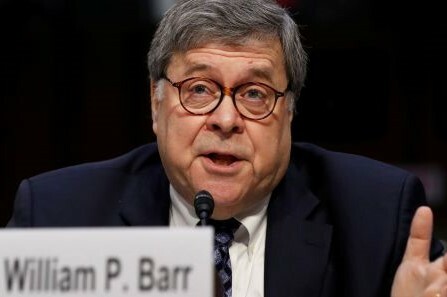 However, Schumer's concerns could signify that Barr will be confirmed with little or no Democratic support - a similar outcome to former Attorney General Jeff Sessions, who won confirmation with the support of only one Democrat.